My training for the Brighton Marathon is just about to reach it's peak...last week I ran 45 miles, and this coming week I have 50 miles on the schedule - that's more miles that I've ever covered in a week, and to be honest I'm not entirely looking forward to it! But I am very pleased with how my long runs have been going over the last month, and I know when I've finished my 50 miles by this time next week, I'll be proud of the achievement. 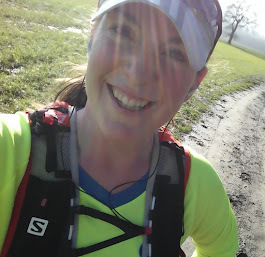 Anyway, as for last week...I enjoyed my midweek training, with a day at the gym, a day with a double run, and some decent miles, and then on Saturday I headed out to run the 22 miles for my long run that my training plan called for. I really felt I needed a bit of a change of scenery to my regular runs though, and so drove the half an hour to Waltham Abbey to pick up our closest canal, the Lee Valley Navigational. I felt like I was cheating a bit running along the canal as it's so incredibly flat (and all my usual routes have hills) but to be honest I felt like I needed an easier route. It's a lovely run too...there are a number of nature reserves along the canal and the countryside around those areas is pretty, with loads of ducks, swans and geese to keep my company too ;) Must admit though that when the swans and geese are on the path I have to really steel myself to run past them as I'm terrified they're going to attack me...but of course, they never do! Anyway, my apparent invisibility aside, I got my 22 miles done at an average of 8:59min/miles with a negative split and an "as fast as I can go on dead legs" final mile too which I was really pleased with. I remembered how I felt when I last ran a 20+ mile along the canal (in the final stages of my training for the marathon last September) and it's great to realise how much better I felt this time! What a difference six months makes ;) We went bowling on Saturday night too and I still felt pretty good so it's all a real confidence boost for the marathon. Yesterday, I got up at 6am for the Grand Prix (well done Jenson!) and by 8.30am the weather was amazing - bright, warm sunshine and perfect blue skies. I thought I was still feeling pretty good, so I went out for a 6 mile recovery run before we took my mum out for lunch. It was very hard, much more difficult than I expected and my legs were so heavy - although it did get easier after the first few miles. I'm pleased I finished the distance I planned on though: if I'm going to start running all these ultras I definitely need to start getting used to running when my legs hurt! This morning I'm still really achy but it's a rest day so after sitting down all day at work, I think I'm going to go home and sit on the sofa!